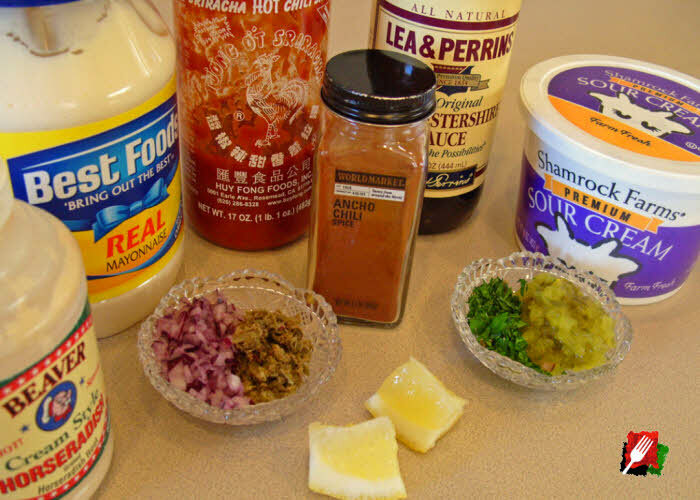 Combine all dressing ingredients by hand with a spoon, mix well, then set aside in the refrigerator to chill for a few hours or overnight before using. 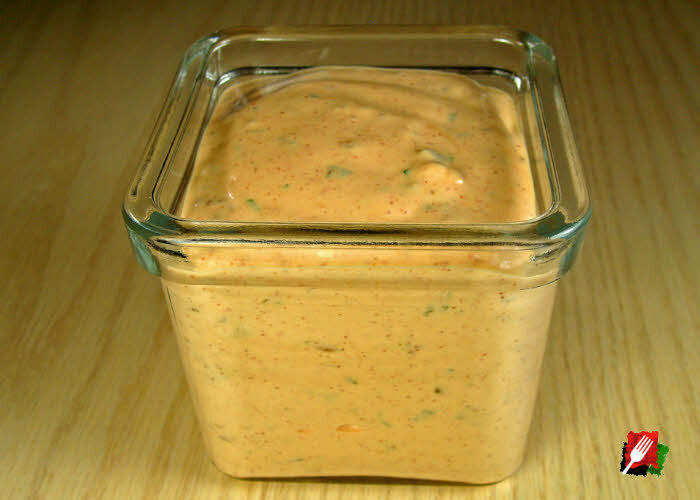 Lasts in the refrigerator for up to 1 week. 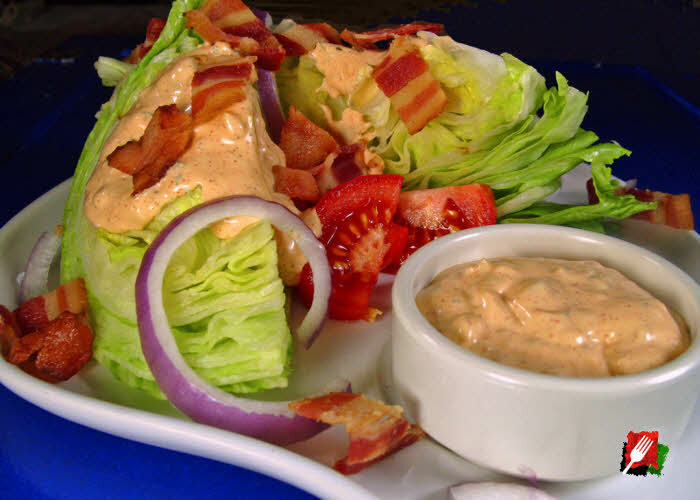 Clean the chilled iceberg lettuce, slice it into large wedges, then add two wedges per plate. 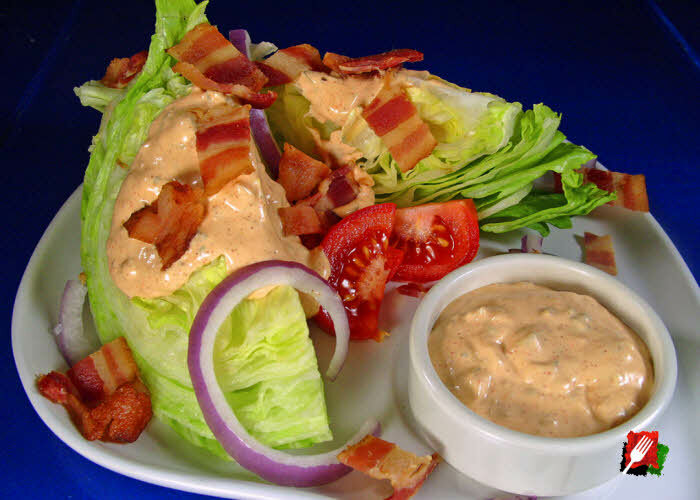 Drizzle on the Russian dressing (as much or as little as desired), then garnish with a few slices of halved cherry tomatoes, red onion slices, and chopped bacon over the plate, and add a little extra Russian dressing on the side.